The white shepherd's beauty is unsurpassed by any other breed. 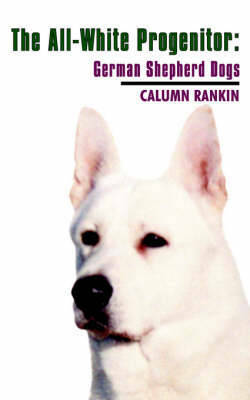 'The All-White Progenitor: German Shepherd Dogs' has been compiled as a handy reference work for would-be owners. It contains a wealth of detailed information unravelling 'myth' and dispelling twisted malice about the white species, together with interesting facts on the race and their changing fortunes. Also included is an unforgettable collection of lavishly illustrated photographs throughout. This comprehensive handbook is essential reading for every dog lover wishing to familiarise themselves with the breed.